Born and raised in Saskatoon, Darwyn Peachey studied at the University of Saskatchewan and received B.Sc. and M.Sc. degrees in computer science. In 1988 he moved to California to join Pixar Animation Studios, and he has been with the company ever since. Peachey began his Pixar career as a software engineer developing key components of the RenderMan package, which is used to render images by many companies in the animation and visual effects industry. He was one of the recipients of an Academy Award® from the Academy of Motion Picture Arts & Sciences for RenderMan. Peachey has worked directly as a production technical artist on several Pixar feature films. Most recently, he was the Global Technology Supervisor for Incredibles 2 (2018). Previously he worked on Toy Story (1995), Ratatouille (2007), Toy Story 3 (2010), and Coco (2017), as well as the stereoscopic 3D versions of Toy Story and Toy Story 2. He was the Supervising Technical Director of ten Cars and Toy Story short films produced at Pixar Canada in Vancouver, including "Air Mater" (2011), "Small Fry" (2011), and "Partysaurus Rex" (2012). He was also the Supervising Technical Director of the Pixar short film "Sanjay’s Super Team’' (2015) which was nominated for the Academy Award® for Best Animated Short Film. 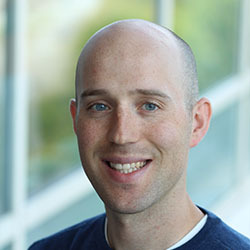 In addition to working directly in film production, Peachey has also served as a software developer and technology manager in Pixar’s software and IT departments. He was Pixar’s Director of Studio Tools, Vice President of Research and Development and Vice President of Technology during the period from 1996 to 2003 and led the development of film production software and IT infrastructure including Pixar’s render farm. He was also the Chief Technical Officer and a co-founder of Pixar Canada, a subsidiary that operated in Vancouver from 2009 to 2013. 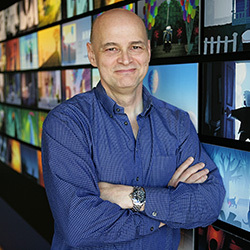 At Pixar Canada, Peachey supervised the building of a standalone hardware and software pipeline capable of producing short films to meet Pixar’s high quality standards, and helped to hire, train and lead the production crew and technical support departments. Peachey is a member of the Academy of Motion Picture Arts & Sciences, and the Visual Effects Society. Byron Bashforth joined Pixar Animation Studios in June 1999 as a render technical director on “Toy Story 2.” He has since worked as a shading technical director on several films such as “Monster, Inc.,” “Finding Nemo,” and Academy©-winning “Inside Out,” “Brave,” “Up,” and “The Incredibles.” Bashforth acted as a character shading lead on “Monsters University” and Oscar©- winning “Ratatouille,” as well as the shading and paint lead on the short film “Lava.” In addition, Bashforth was an integration engineer on “Finding Dory.” Most recently, he was the character shading lead for Disney•Pixar’s Oscar©- winning film, “Coco”. As the character shading lead, Bashforth helps manage and support the team of technical artists that create the look of all the characters in the film. Working with concept designs and the director’s vision, the characters team authors simulated materials through a combination of software and digital paintings that describe how surfaces like skin, bones, hair, and clothing appear in the film. Raised in Saskatchewan, Canada, Bashforth earned a Masters of Science in Computer Science from the University of Saskatchewan. He currently resides in Marin County, CA. Dr. Russell Muzzolini was initially uncertain of his career path when he began at the University of Saskatchewan. He kept busy with his family’s small business and playing in bands. It was visual effects that really peaked Muzzolini's interest, and when he saw the summer movie blockbuster Terminator 2 for the first time, "the course became charted." In 1996, Muzzolini received his Ph.D. in Computer Science at the U of S and moved to Silicon Valley where he designed and developed specialized digital workflows for postproduction companies in the movie industry. In 1999 he joined a consumer photo and ecommerce start-up called Shutterfly as a developer on the original engineering team and grew with the company through management up to VP of engineering. Muzzolini contributed to the growth of Shutterfly, which eventually evolved into a multi-billion dollar valued company. 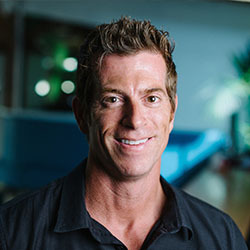 Muzzolini currently leads the Spire global engineering teams spanning San Francisco, Singapore, and Glasgow. Started in 2012, Spire is a satellite-powered data company providing unprecedented weather, climate, and maritime data. Spire analytics incorporate proprietary sensor data fusion to tackle global problems such as drought, climate change, power consumption, and more. 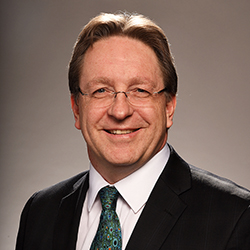 After earning a BSc in Computer Science at the University of Saskachewan in 1985, Berni Schiefer joined the IBM Canada laboratory in Toronto where he has worked closely with many customers, ISVs and business partners around the world. The accomplishments of Schiefer and his teams have helped to strengthen IBM Canada’s worldwide reputation for database products. His success as the leader of many significant projects gained him the rank of Distinguished Engineer and in 2015 he was appointed one of ten IBM Fellows within IBM worldwide, only the sixth Canadian to receive this honour. Over the history of the program only 267 people worldwide have been named IBM Fellows and only 95 of these are active employees. Five have received the Nobel Prize. As an IBM Fellow, Schiefer is responsible for a global team that focusses on the performance and scalability of products and solutions in the Analytics Group, specifically for Big Data technologies including Spark, BigInsights, Big SQL, dashDB, DB2 pureScale and DB2 with BLU acceleration. His passion is in bringing advanced technology to market with a particular emphasis on exploiting processor, memory, networking, storage technology and other hardware and software acceleration technologies. Dr. Rita Orji believes technology can make the world a better place. "I have always looked for opportunities to acquire necessary skills that will enable me to contribute positively. Computer science is about solving real-life problems, focusing on how you can use your knowledge to change the world and contribute in solving pressing problems." Orji attended University of Saskatchewan as a Nigerian international student and received her Ph.D. in 2014. Her research focused on developing the technology to persuade people to adopt a healthier lifestyle. "How, for example, might one use a mobile game and social networks to promote increased physical activity?" Orji is driven by passion for physical fitness, healthy living and working with people. Orji attended Yale University as a Postdoctoral Fellow. Currently, she is a visiting Senior Lecturer at Nnamdi Azikiwe University, Nigeria, where she is leveraging the power of technology to solve societal problems. 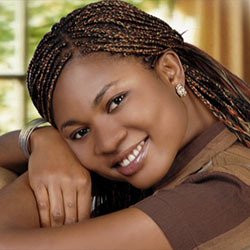 Orji works mainly with graduate students in one of the fastest growing countries in the world. For her, helping students achieve their educational goals is one step closer to helping the world through the design and application of interactive technologies. 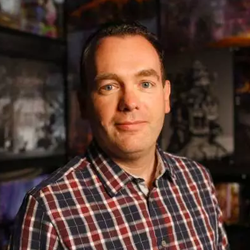 There are three things about Brennan Rusnell (BSc’06, MSc’09) that have driven him in his career: a curiosity of how things are made; an artistic desire; and last but not least, a life-long love of video games. Rusnell is currently a Generalist Programmer at Hothead Games in Vancouver where he works on mobile games with franchises like Kill Shot and Big Win Sports. After working in the console (Xbox360/PS3/XboxOne/PS4/PC) video game industry for several years with companies such as Next Level Games, Bungie Inc., and Radical Entertainment, Rusnell now finds himself dedicated to mobile games, with his latest masterpiece, Boom Boom Soccer, set for release later this year. "As a generalist programmer, I perform a variety of tasks, from creating new user interface screens and optimizing character loading, to implementing gameplay modes that run on a client-server architecture." He has advice for anyone wishing to follow a similar path: "Good programmers are difficult to find – don’t let a lack of experience prevent you from applying for job in this industry. A degree in computer science gives you an incredible foundation to build upon." A Saskatchewan, Canada native of Indian descent, Sanjay Bakshi’s strong interest in computer graphics originated from when he used to program graphic algorithms on an Apple2. Bakshi grew up in Balcarres, Saskatchewan, where his parents were teachers. He completed BSc (’92) and MSc (’94) degrees in computer science at the University of Saskatchewan, where he was encouraged by Darwyn Peachey (BSc'78, MSc'83) to pursue his love of computer graphics. 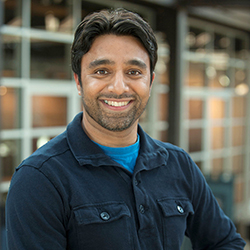 In 2002, Bakshi joined Pixar Animation Studios, where he is now Supervising Technical Director. His skills were first applied in the studio’s Tools department, where he worked on Academy Award®-winning filmsFinding Nemo, The Incredibles and Cars as tools developer. Bakshi previously worked as the groom lead on the Academy Award®-winning feature Ratatouille, in which his role can be described as a digital hairdresser responsible for the hair on humans and the fur on rat characters. To engage an audience, the hair of either a talking rat or an eight-foot tall monster must blow in the wind in a “natural” way, which requires a unique mixture of imagination and science. To accomplish this, Bakshi studied rat hair for more than three years for Ratatouille and continued to work on it for Monsters University. He then served as the supervising technical director on Monsters University, and most recently held the same role for Disney•Pixar’s 2015 feature, The Good Dinosaur. 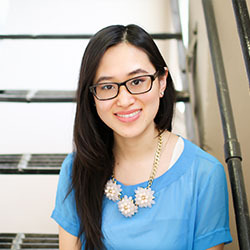 Yue Gao (MSc‘12) is fascinated by the relationship between people and technology. As a User Experience (UX) Designer, Gao works with clients to design and refine software based on needs and strategies. "I discovered in my undergrad that programming was not my forte, but I had an interest in design and how people interact with systems… my goal is to create user-friendly interactive products." Gao decided to focus on Human Computer Interactions (HCI) when pursuing her M.Sc. at the University of Saskatchewan, where she learned more about interaction design and what it means to create a great user experience. "I have a very creative job and I have direct impact on the products we produce. I really enjoy design challenges and the opportunity to make a difference in user interfaces, making them more friendly and easy to use." 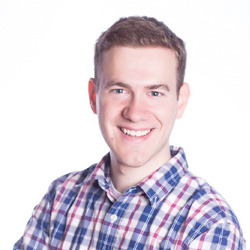 Steven Heidel (BSc ‘14) took his computer science degree and landed his first job as a Software Engineer with the world’s largest professional network, LinkedIn, where he loves working with very intelligent and like-minded people. "Software engineers go into the field because they enjoy solving problems, and it’s even more exciting to team up with others to solve even larger problems." Heidel says one of the best pieces of advice he can give anyone taking computer science is to learn about the field as a whole, capitalizing on learning the fundamentals of math, theoretical CS, and exposing yourself to different programming paradigms (functional, logic) and different platforms (mobile, web, integrated). It’s these skills that helped Heidel found his own start-up in Toronto with the help of the Next 36 program, an intensive and competitive incubator that invests in the country's next entrepreneurial leaders. "It’s my greatest achievement so far… building a complete application from the ground up." His background and volunteering had earned him the Queen's Diamond Jubilee Medal in 2012. For Marli Bells, the ability to create something and put it out in the world for people to use is very fulfilling. She enjoys seeing her work affect people’s lives in so many different ways. Bells' first exposure to Computer Science was an introductory course in her first year at the University of Saskatchewan. She found the material both challenging and fun, and decided to focus on Computer Science as her main area of study. In 2011, she graduated with a B.Sc. in Computer Science with Distinction, including successfully completing the Computer Science Professional Internship Program. After graduation, Bells continued to work at ZU, a digital agency where she spent her internship. 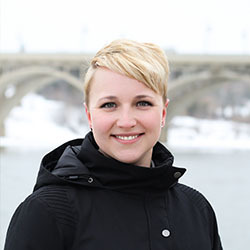 In her spare time, she co-leads the Saskatoon chapter of Ladies Leaning Code, a non-profit organization that offers beginner technical workshops for women and girls, and instructs introductory Computer Science courses at the University of Saskatchewan. In 2014, Bells started working with Rock and Bloom as a Developer, where she creates well-designed, responsive websites for clients. When asked to give advice to aspiring Computer Science students, Bells says "get out there and make things! Make a website, make a game, make a program. Use the tools available to create something and put it out there. What's the worst that could happen?"